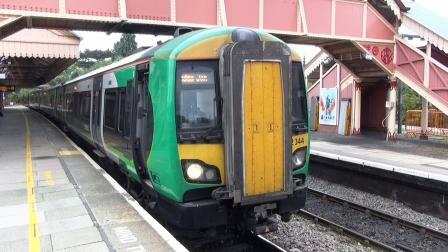 A cab-ride journey aboard a Class 172 (3 car unit) of London Midland Trains from Stratford-Upon-Avon to Worcester Shrub Hill with a bonus journey of Stourbridge Town to Stourbridge Junction & return. Strafford-Upon-Avon Parkway, Wilmcote, Henley-In-Arden, Danzey, Wood End, The Lakes, Earlswood,Wythall, Whitlocks End, Shirley, Yardley Wood, Hall Green, Spring Road, Birmingham Moor Street, Birmingham Snow Hill, Jewellery Quarter, The Hawthorns, Smethwick Galton Bridge, Rowley Regis, Cradley Heath, Stourbridge Junction, Hagley, Kidderminster & Droitwich Spa, terminating at Worcester Shrub Hill. 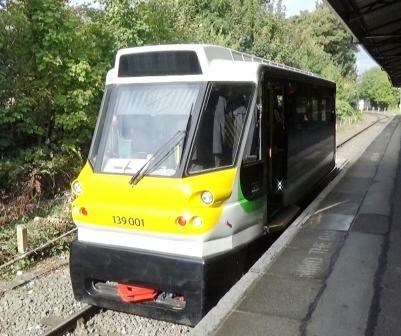 Bonus —Return journey Stourbridge Town to Stourbridge Junction aboard a Class 139 bubble car !